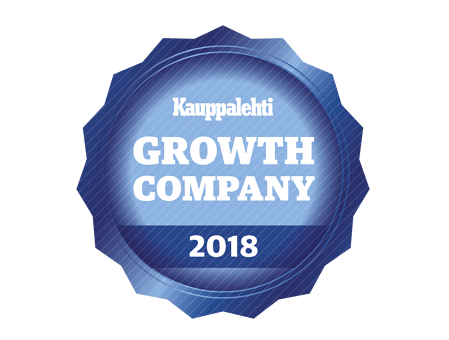 The certification is given by Kauppalehti, a leading online and mobile news service in Finland focusing on economic phenomena and the money market. They grant the certification only for a small number of Finnish companies — companies that have managed to grow significantly during the past three years. The Growth Company Certificate is granted to companies whose growth in turnover has exceeded the average of their main industry class by at least 10 percent units during the last three-year measurement period, and whose turnover continues to grow. We would like to sincerely Thank our customers, personnel, and partners, as you have made this growth possible!